You must be 25 years old to rent this home. 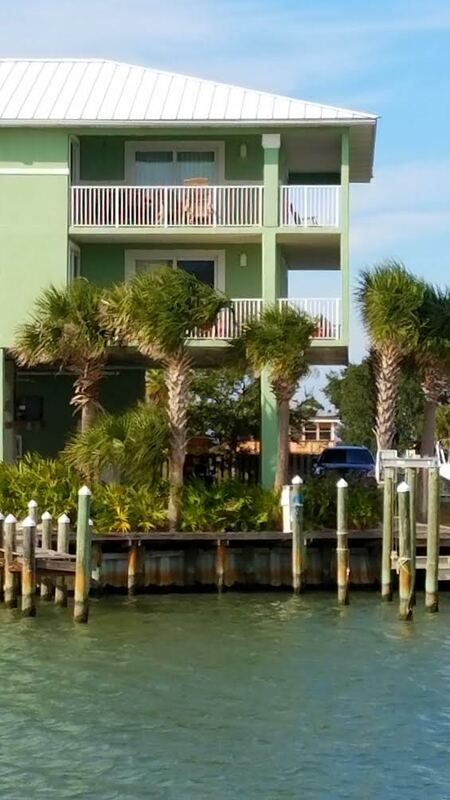 This 3 Bedroom, 2 Bath condo is on the Bay and just steps to the Beach! A water lovers dream and Marina living without the crowds. This first floor penthouse, condo is perfect for the angler, beach lovers and the whole family. Stroll the beaches, soak in the pool or hot tub, play in the waves, boat with the Dolphins, fish from the dock, and enjoy the view. 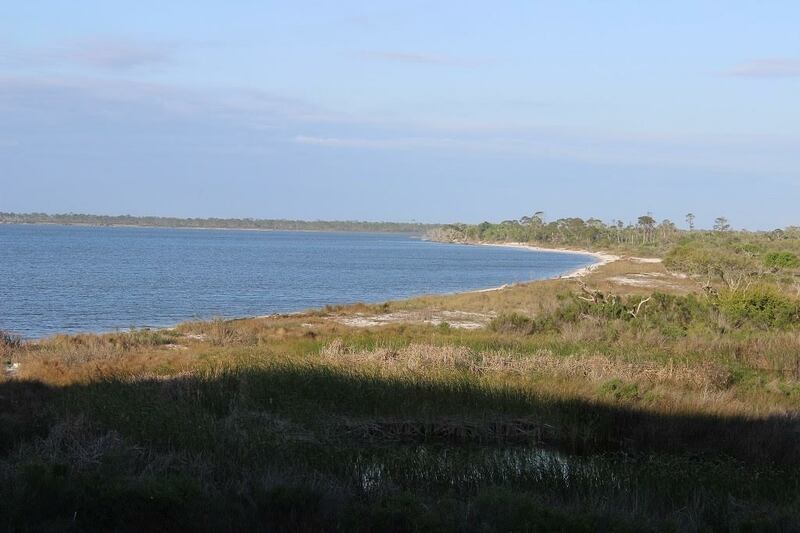 The gulf beach is a short walk and the gulf fishing is just a short boat ride away. This corner unit offers a large wraparound balcony with outside eating space and awesome view. Decorated in Caribbean Chic, the unit includes a King size sleigh bed and jetted tub/shower in the master, Queen beds in the guest rooms, and one with an extra twin and trundle. Granite counters grace the fully equipped kitchen with breakfast bar. Unit includes Dishwasher, Washer, and Dryer. 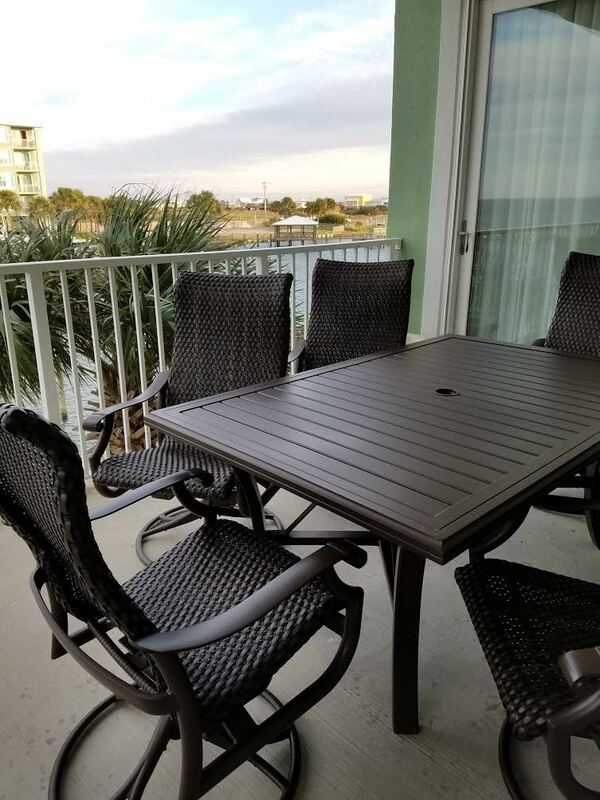 Rental of this gated community condo includes use of the boat ramp, fish cleaning station, your private heavy-duty boatlift, grilling station, pools, hot tub, Internet, luggage carts, and elevator. Thank you for storing boat trailer outside. So gear up the boat, grab the family, and head to the Gulf for some fun in the sun! "My family of six enjoyed our stay. Not only was the condo spacious enough to accommodate my husband and I and our four grown boys, we could have added others. The condo was nicely decorated and had everything we could have needed. My boys loved being near the boats and being able to fish then jump in the hot tub and watch the boats come in. My husband and I loved the jet tub and felt like we were on our honeymoon in the master suite." 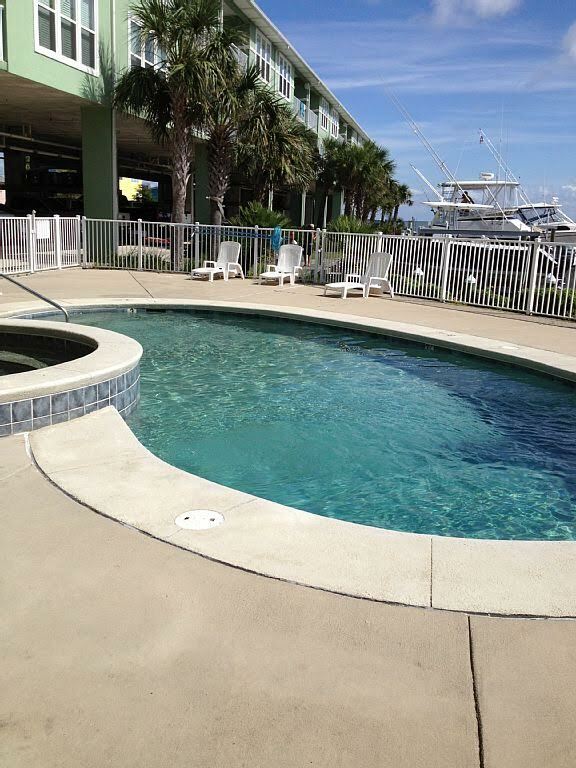 "Thank you, Amanda, for the great review of your stay in Navy Cove 2114! Isn't that view awesome? And what a perfect place for fishing! I hope they caught a bunch! I look forward to booking your next stay in Navy Cove 2114! " "This was our 4th time, I believe, to stay in 2114. It's always been a pleasure. Huge, well appointed condo with plenty of room to spread out. Large wrap-around balcany with great views of the bay and the entire Navy Cove complex. " "Yay!! We are so glad that you have found your "home away from home"! When you call us to book your next stay, be sure to tell us you are a repeat guest. We have a special offer for you! See you soon!" "The rental was wonderful. Very spacious and beautifully decorated. We loved staying on the bay and being able to fish plus have access to the beach. We will be booking soon for next year. Thank you!" "Sunset Properties was a joy to work with. They were very thorough and helpful. I had been given the wrong code numbers to enter my complex upon arrival on a Saturday night. I texted them, and received the correct code in less than 2 minutes. They were there when I needed them. They worked we me on staying an extra night also. I will look first at Sunset Properties when I rent again. The condo was great. I don't want to say too many good things because I will have competition in booking it again. They do need better internet service, and that is my only complaint." "Michael, thank you so much for taking time to write a review! I am so glad you enjoyed your stay and we would love to have you back!" "We enjoyed the condo very much. It was spacious and well equipped. The balcony was beautiful, but the weather didn't let us use it much. As noted by others, palm trees definitely blocked the view. I loved taking our dog on both beaches for a walk. We chose it because it had an elevator, but the elevator was at the other end of the building so my husband decided to climb the 24 stairs instead of using the elevator and walking such a long way. Anyone with a mobility issue might have a problem. Dishes and pots/pans were of good quality. All the appliances worked. Make sure you have a parking pass, security checks everyday." "Yay!! We are so glad you enjoyed your stay at Navy Cove! We think the view of the bay is awesome! And being able to bring your fur baby along is a plus! We hope you make plans to stay again in the future!" "Actually loved everything about it BUT the total of an hour drive to and from main road would probably stop us from staying here again?" "Tony, we appreciate you leaving a review! It's a great condo! We do try to let our guests that may not have been out here know that it is a bit of a drive. it takes us about 25 mins when traffic isn't bad. That is one of the things our repeat guests love though, is the fact that it's away from the busy part of town. We were glad to have you!" "Thank you! You can't ask for any better than great! So happy you found our little piece of heaven!" "Unit is one of the best in the cove. Boat slip and dock could use some work to get boat closer to the dock for boarding. The distance between boat and dock is too far for safety." "It is a nice, spacious unit, glad you had a good time. We haven't had any problems or complaints about the boat dock, certainly wouldn't want anybody to get hurt out there! " "This rental was very roomy. We were a group of 3 couples and a newborn. We especially liked that the master bedroom was separated from the other two rooms so that our infant would not wake the other couples staying with us. If you don't mind having to take a short walk to the beach, this is the perfect place. Very quiet and away from all the hustle and bustle of Gulf Shores." "Thank you for taking time to write a review! We love to get feedback from our guests, hope you will come again soon!" "We loved this condo and it was very peaceful to sit on the big porch each morning. We will definitely stay here again." "Yay!! We appreciate you taking time to write a review, and so excited that you had a good visit!" "The condo was clean and roomy. The only disappointing thing is that the palm trees have grown tall enough to block the view from the patio. This is an end unit and I specifically choose this unit for the view over the Bay. I will not be staying there again unless the trees are trimmed. Also, guest allowed their kids to play in the pool after hours and they used the restroom in it. The pool had to be shutdown both Saturday & Sunday. The other pool at Navy Cove was so crowded it wasn't worth trying to go to. "Thank you for the review! We are passing your comments to the condo's association management company. Maybe they can have the trees trimmed and monitor the quiet hours better. " "The condo is big, really big. It's a corner unit on the first level, which is elevated for obvious reasons. Has a wrap-around balcony on the lagoon and bay sides. A large master with nicely sized bath. 2 guest rooms have queen beds I believe and are amply sized as well. Big living room, kitchen, dining combo. Very well decorated and appointed. Our only complaint was that there should have been more than 4 towels in a rental of this size. It can easily fit 3 couples. This was our 3rd year at Navy Cove and it never disappoints. Sunset Properties has been a great company to work with on these rentals as well. They are very accommodating. They have a rep go by the unit and inspect it for damage and cleanliness and then give you a personal phone call to let you that your unit is ready for check in. The last 2 years ours have been ready well ahead of schedule, which has been great. Highly recommend them as well." "Thank you sooo much for the review!!" "We had a great trip to Ft. morgan as always. We will rent again from you!!" "Yes!!! We love, love, love our repeaters!! " "Condo was easily accessible and clean upon arrival at 11 PM. Great location to get away on the boat. Was not able to use a boat lift because of maintenance issues. " "Hi, we are so sorry about the lift issues. You will be happy to know the owner of the lift had it repaired and it's good to go! We hope you will come back and see again real soon! The fish are always biting!! " "Very nice place to stay. We had a couple of maintenance issues but, the we're taken care of. It needs new outdoor seating furniture. The indoor furniture was not very comfortable. " "Thank you for taking time to review your stay in Navy Cove 2114. Sunset Properties strives to make sure all of our properties are maintained and the furnishings are kept up to date. We have notified the owner about the issues with the furniture and hopefully this will be resolved soon. Again thank you for your time and your review. Sunset Properties Staff"
"I absolutely enjoyed the view. Even though we were on the water, we still had to drive a good distance to get to the beach. (We ended up going to ORANGE BEACH instead). I didn't like driving almost 30 minutes to get to anything, Navy Cove isn't really close to anything. Didn't seem to bother the other half of the group though. Overall I completely enjoyed!" "Furnishings were sub par. Furniture uncomfortable. Master bedroom does not cool well. Kitchen utensils were very scarce. " "Very well maintained property and condos. Condo was exactly as promised. Very nice and responsive property management." 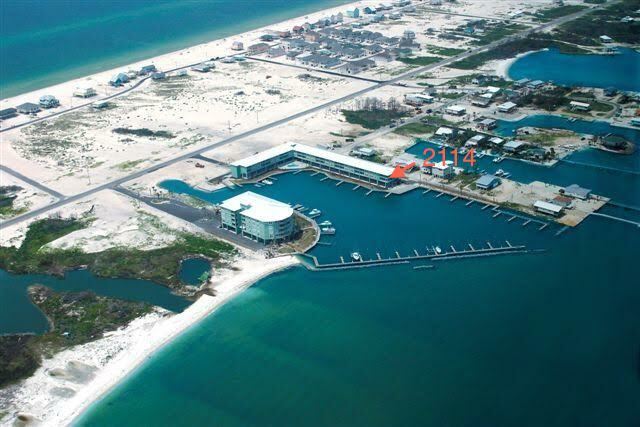 "Away from the hustle and bustle of Gulf Shores, this is a nice place for swimming, fishing and quiet walks on the beach. The property managers are the best and most helpful whom we've ever met. " "Thank you for taking time to write a review. We are delighted that you enjoyed our quiet little paradise as much as we do! We appreciate your business and look forward to seeing you again in the Fall. Sincerely, Sunset Properties Staff"
"We stayed in the same condo before and the kitchen was well stocked, this time , to was not. Just very surprised ." "Thank you for taking the time to review this property and your vacation. We appreciate you letting us know about the short comings in this condo. If you find an item missing in the kitchen just give us a call, and we will run it over to you!! Thank you so much and we look forward to seeing you again in the future. Sincerely, The Sunset Properties Staff"